Every stage in childhood is special. From when they are born and show their first smile, or when they get their first tooth and are learning how to crawl; to when they say their first word and are super independent while now knowing how to walk. 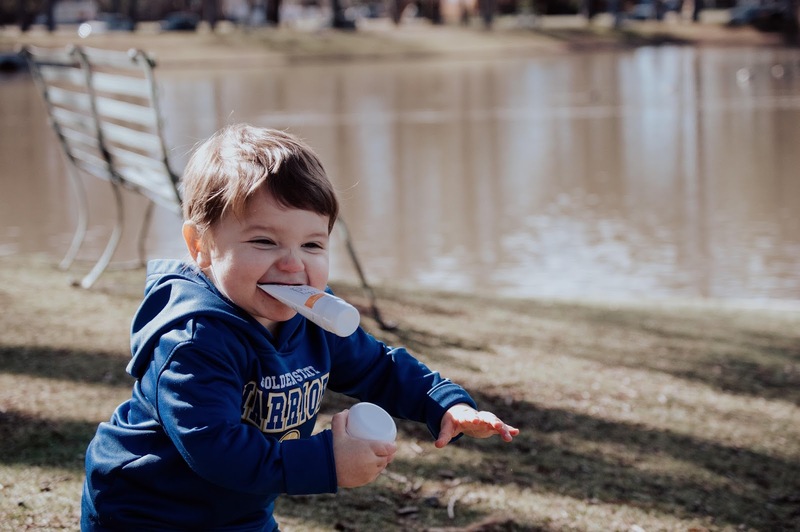 Every stage is big, but with certain stages like teething, having a cold, or even having trouble sleeping, we as parents are saddened to see them so uneasy and upset. I must say that since becoming a parent, I have realized that there are hundreds and hundreds of baby products and items to use to help them in their uneasy state. While I think its amazing that modern child items have developed and increased over time, I do make sure to know that the brand/product I'm using is safe and even though I don't have all natural products in my household, its a goal of mine, especially for mason to give him something for teething, cold, or if he's having trouble sleeping that it will be as natural as possible for him. I feel more relaxed and confident that what I'm giving him (and my family) has natural ingredients and has no fillers or "junky" stuff. So when I heard about Wink Naturals, a company that not only specializes and helps boost sleep but also sells products that help better serve your family in your home! 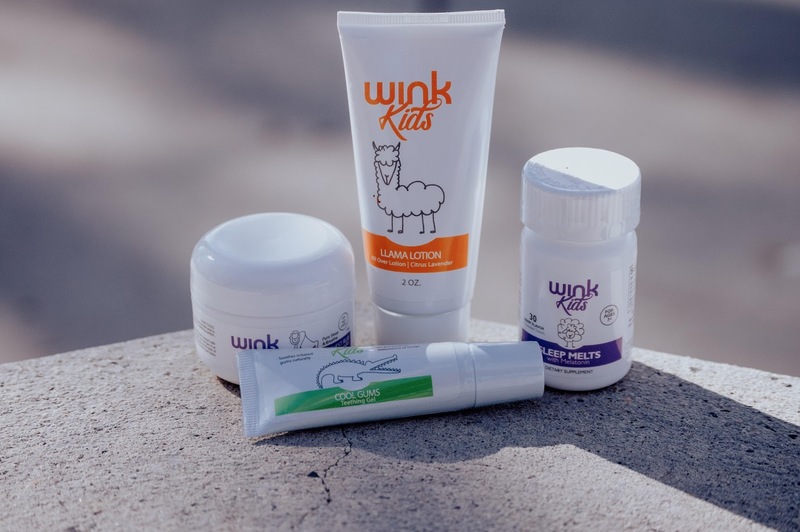 The founder of Wink Naturals helped co found another natural care company called Zarbee's which you've probably heard of . 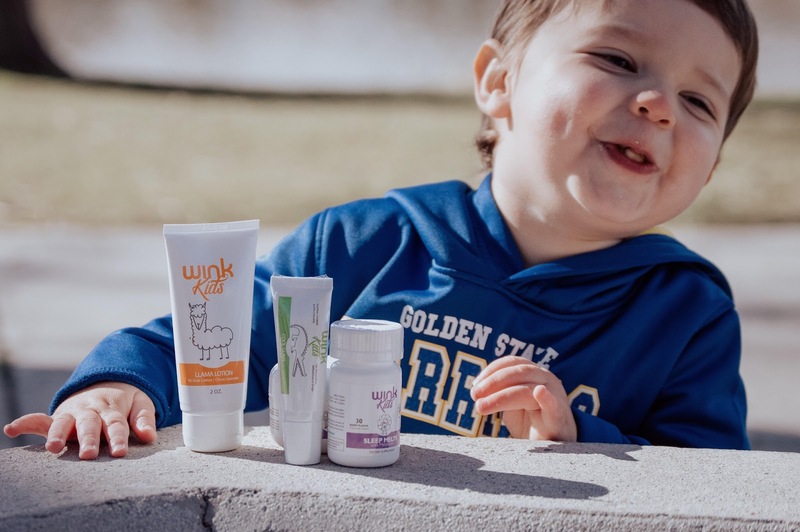 They've created a line of natural effective products that will make parent's not need to worry about what is in it and ingredients that you actually know! All of their products are FDA approved, GMO certified and has been clinical based research and are even made here in the US! So when I saw my wink naturals product in my mail box I was extremely excited to try them and see if they really worked! I received a couple of cool teething gels that is drug free (woooooo!) and has no benzocaine or belladonna which I heard really isn't good for your child. So when mason molars come in, we will be prepared! I also got some sleep meds for kids and thought this was great item if your toddler or little one has trouble sleeping. So though mason sleeps through the night, but there have been moments where its really hard for him to sleep ( usually when we have a huge family and friend party) and I will admit I was skeptical about sleeping meds but it has ALL NATURAL INGREDIENTS! There's no fillers or binders, the dose is specified for kids and its sweetened with Xylitol that gives extra oral health benefits! Plus if your an adult who has trouble sleeping.. like me, you can totally take these as well! I also received healing lotion that has zero parabens, dyes, fragrances, and doesn't have harsh chemicals. Now if you know, my little mason has struggles with eczema (especially in the winter) so we use this right before bed and is perfect for his sensitive skin and I even use it as well! Lastly I got a chest rub that has zero harsh chemicals, made of natural ingredients, and has a safe amount of eucalyptus oil that helps open airways, while also calming/soothing and preparing them for a good night's rest. We don't even have chest rub in our home, so I was really happy about this one, because it truly breaks my heart when little mas man is sick and he cant breathe right and is all plugged up and also having trouble sleeping. So next time he gets sick and is congested, I know I can use this item and it can make him feel better! All in all this company is AMAZING! I love their message and how they provide effective, safe, and natural products for your family. 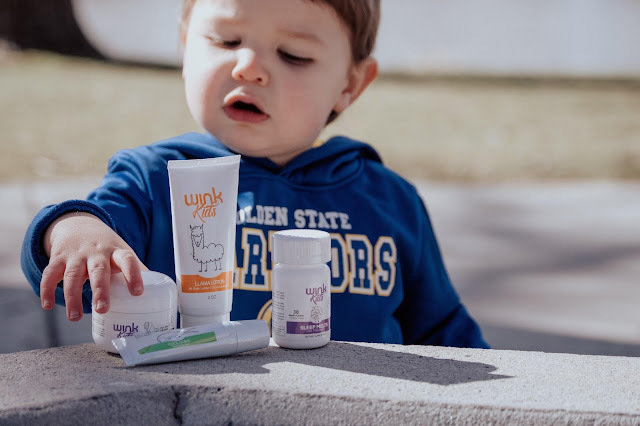 As a mother I want to make sure that the products I use in our home will help, work, and I will be confident in giving them whenever they need help feeling better! They have more products on their website, which I linked below, that I highly recommend you checking out! If you have tried their products, I would love to hear what your thoughts and experiences are!